Peaceful, calm, and slow. The perfect vacation up north. Filled with family, good food, golf and beautiful scenery. 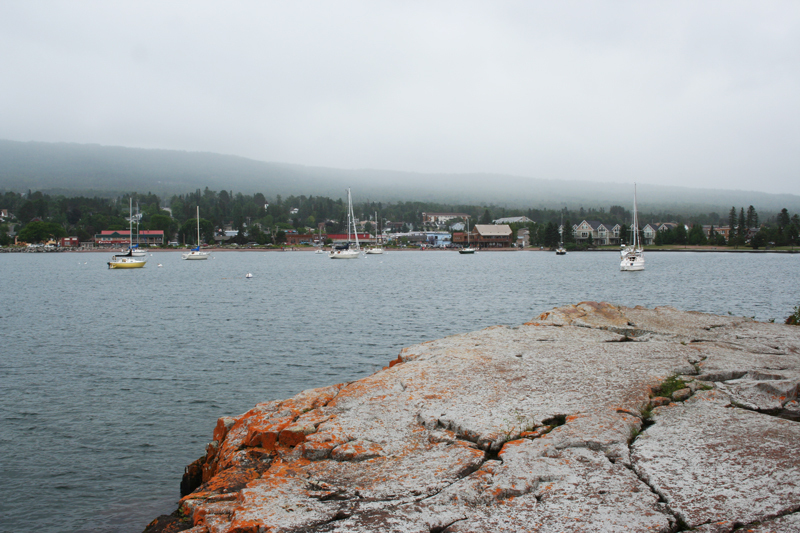 Every year Graham’s family has the tradition of going up to Grand Marais and spending a week there together in the summer. 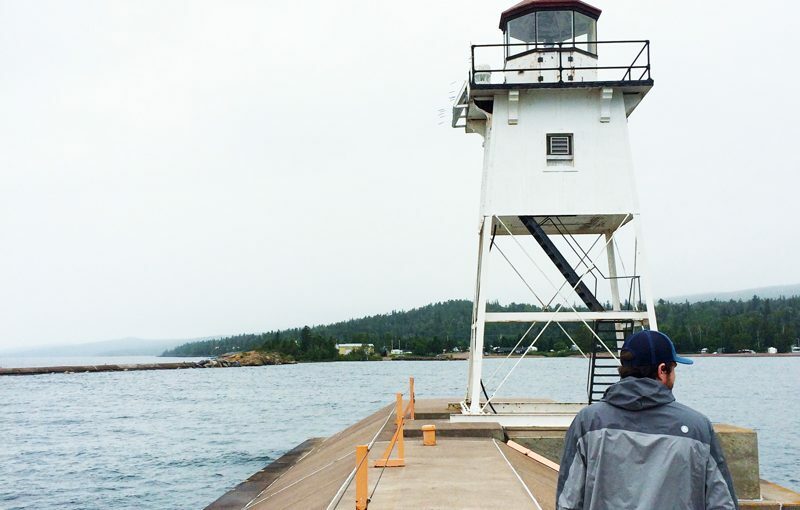 We rent small cabins right on the shore of Lake Superior and enjoy mostly good food and golfing with one another. 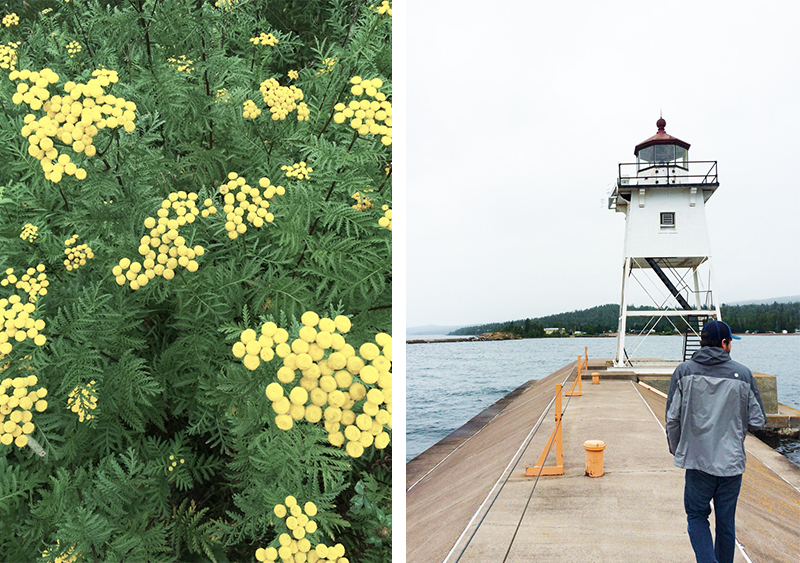 We spent some days exploring the little town of Grand Marais, seeing the lighthouse and the bay. We walked the shore line all afternoon looking at stones and rocks for agates while I practiced yoga poses on the massive boulders. 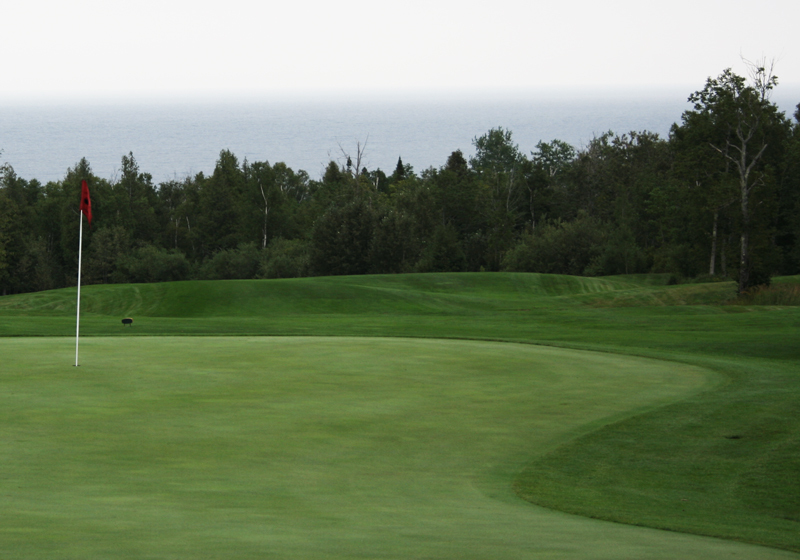 The big golfing day, we took a small little trip back down to Lutsen and played Superior National Golf Course. Superior National is if not the most beautiful course in the state, one of the most challenging. This is my first year of learning how to golf, and I was a little intimidated to say the least. It ended up being a lot of fun and I ended up playing really well! It was perfect weather in August, but at night, it did get a little chilly. 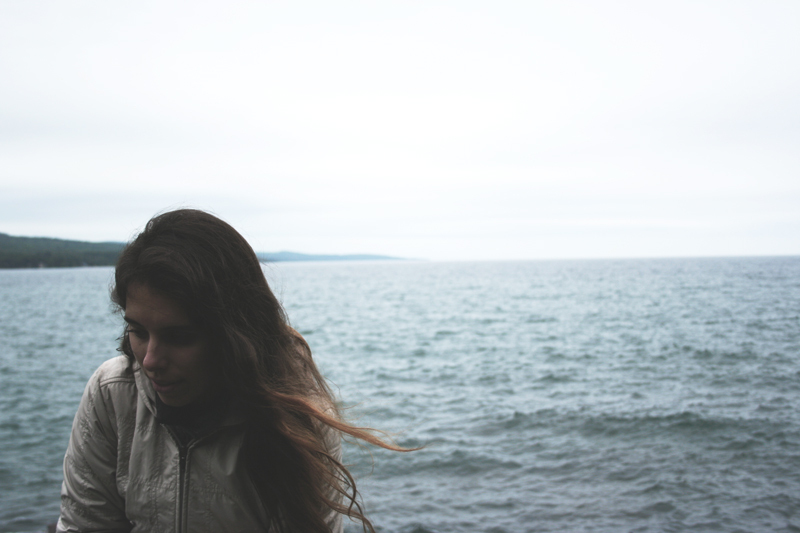 It ended up being nice, we would leave our windows open and feel the chilly breeze underneath our quilt and listen to the waves come crashing in as we would fall asleep. The shoreline is so tranquil; Every morning I would sit and drink my tea on our balcony and just listen, be still, and enjoy the rhythmic energy. Every night someone new was ‘in-charge’ of making dinner for the family. On our night to feed around 25 or so family members we chose to make fish tacos! We grilled up Minnesota caught fish, and pulled together a handful of different toppings and dips. 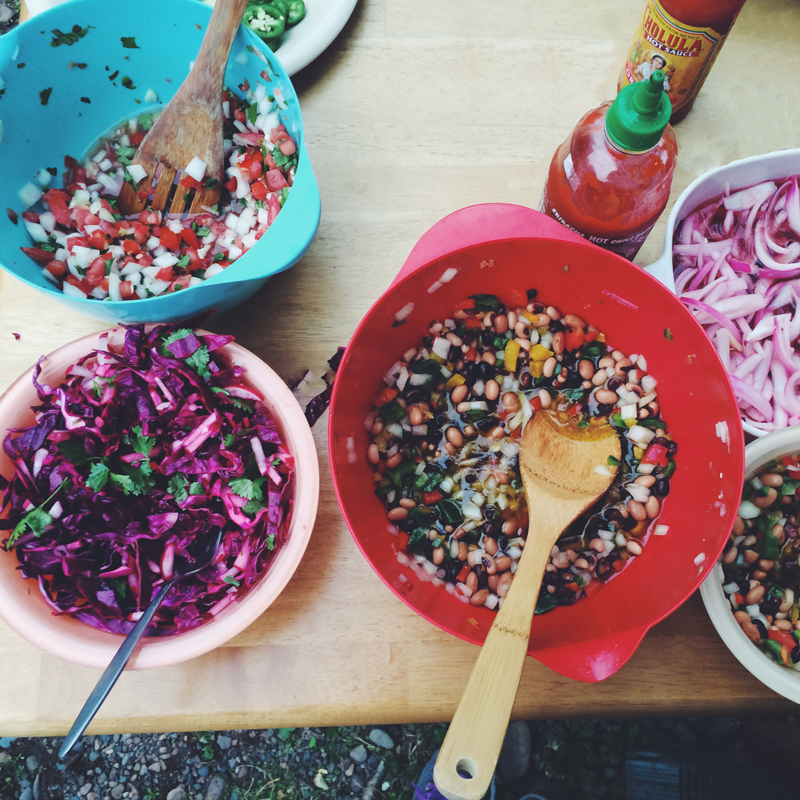 Fresh pico de gallo, red cabbage slaw, pickled red onions, guacamole, homemade smoky salsa, and the classic cowboy caviar. It was a hit, everyone loved the idea of a little build your own taco bar. We all gathered around outside our cabin and ate outside around picnic tables and chairs. I was nervous at first, but it was fun cooking for about 25 people. My mom shared this recipe for Cowboy Caviar with me in my first cookbook she ever gave me. It was a book with handwritten recipes that were easy for a new cook to make, which usually didn’t end up having that much cooking in it. (HA!) But, now as I go through this cookbook it is really nice, because hey, I still like easy, classic recipes – who doesn’t? 1. For the dressing, mix olive oil, apple cider vinegar, sugar, salt and black pepper in a saucepan until it boils. Turn down heat and stir until the sugar is dissolved. Be careful and let cool. 2. In a large bowl, combine pinto beans, black eyed peas, black beans, corn, jalapeños, onion, bell peppers and cilantro. 3. After your dressing is cool, gently pour over mixture in large bowl. Let mixture marinate for at least a few hours, or overnight. Pour off excess dressing and enjoy!